With our Salesforce certification training in San Francisco, you’ll gain certified, hands-on expertise in managing and developing apps for one of the most popular CRM products in the world. Our Salesforce training will prepare you to pass the two Salesforce exams and teach you the core administrative features of CRM. You’ll learn analytics and customization skills to tailor the system for your specific implementation and the declarative capabilities of the platform to create applications using the lightning version. This Salesforce certification training course in San Francisco is designed to ensure that you learn and master the concepts of being a Salesforce Administrator and a Salesforce Platform App builder and ace both these certifications. Our Salesforce training will help you learn how to configure Salesforce, so you are able to collect, analyze and retrieve all of the vital information associated with your customer base. Moreover, you will use Force.com fundamentals to understand Salesforce online application development and the deployment of next-generation cloud apps. We offer practical hands-on learning that will ensure your job success, as well as the theoretical knowledge needed to pass both Salesforce certification exams(Administrator and Developer). What skills will you learn from Salesforce certification training in San Francisco? 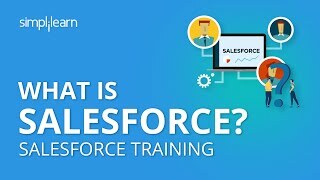 Who should take Salesforce certification training course in San Francisco?